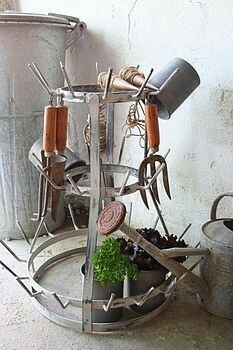 With spring finally here, my attentions turn to one of my true loves… gardening. 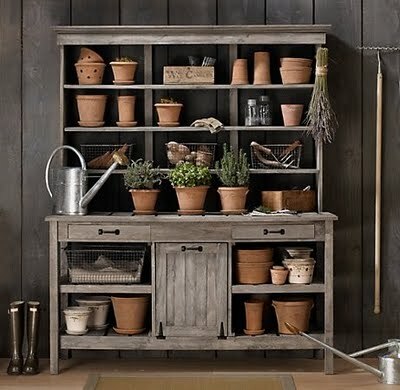 Whether you are a gardener or not, there is something appealing about a space to call your own for potting, collecting garden related things. or just puttering. 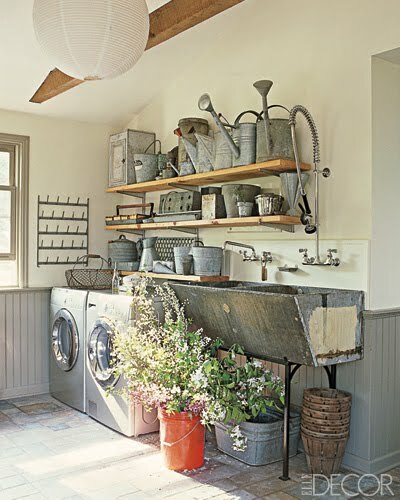 With so many options to fit every possible need or space, there really is something for everyone. 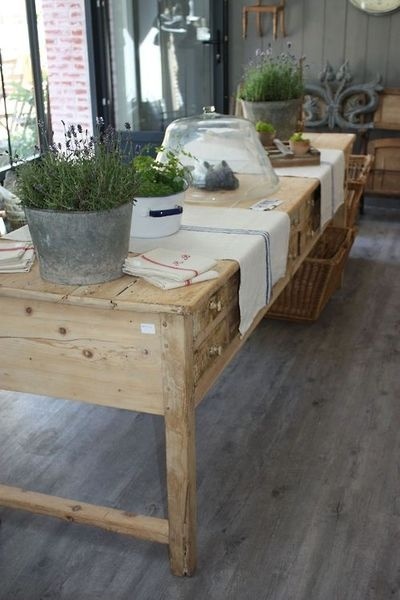 A simple table tucked along a wall…. 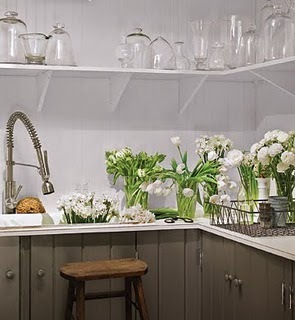 Even a few shelves above a sink in the laundry room can become a place to pot or arrange flowers. 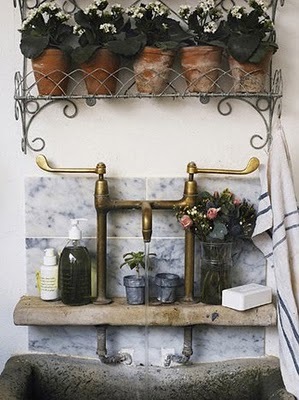 And zinc, in any shape or form, just seems to go hand in hand with gardening! 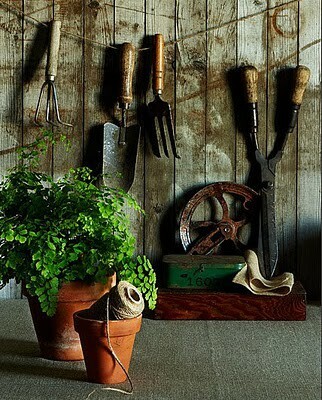 Hope you are inspired to carve a place to plant in your home! Next, I will feature the all desirable…. This was just what I needed to get my juices flowing today, what a pretty picture book of ideas you put together. 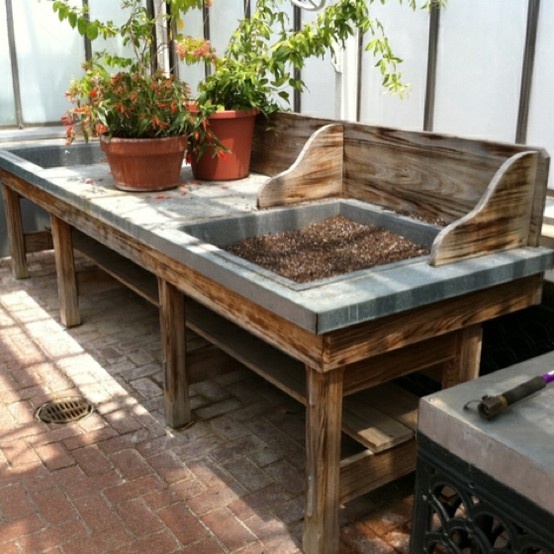 My friend just gave me an old potting bench….I can’t wait to go play with it!! 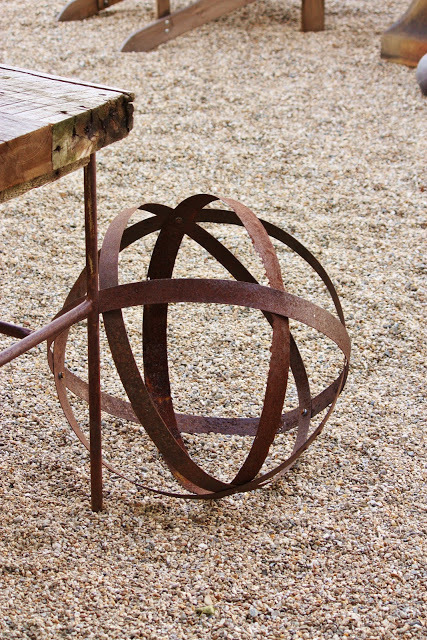 great images, I have many of these myself in the “inspiration” pile! 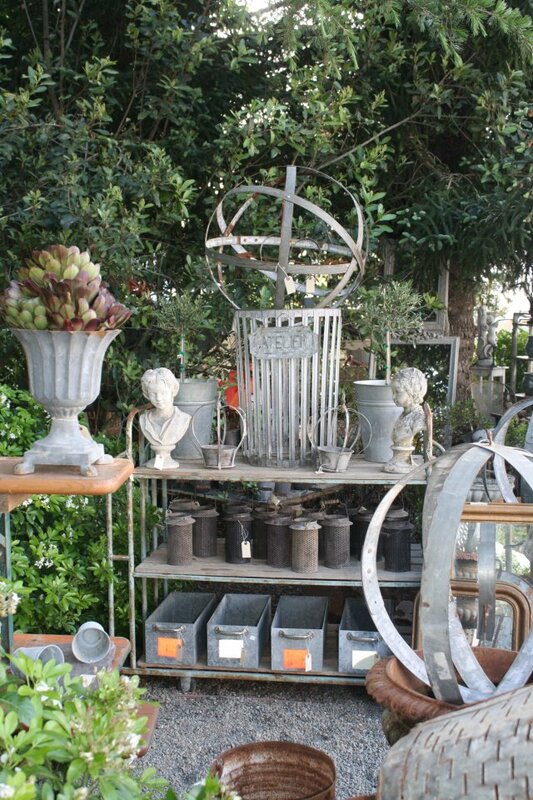 Thank you for such beautiful inspirations and pictures in your blog. It gives great ideas for my home decor. It continues to help me see beauty and teaches me to love for the rustic, the simplicity and embrace the slight flaws in my home. I truly enjoy your blog.